Most grain free dog foods are promoted as more nutritious. Manufacturers advertise they are more tasty and packed with exotic proteins. This appeals to many pet owners who are health conscious and want to provide a more healthy diet for their pet. Unfortunately, the Food and Drug Administration recently announced they are investigating a link between grain free dog food and dilated cardiomyopathy, or D.C.M., a common type of canine heart disease. D.C.M. is a condition in which the heart weakens and becomes enlarged. This condition can lead to heart failure. Symptoms include fatigue, difficulty breathing, coughing and fainting. Large breed dogs such as Doberman pinschers, Irish wolfhounds, boxers, and Great Danes have a genetic predisposition to D.C.M. While D.C.M. 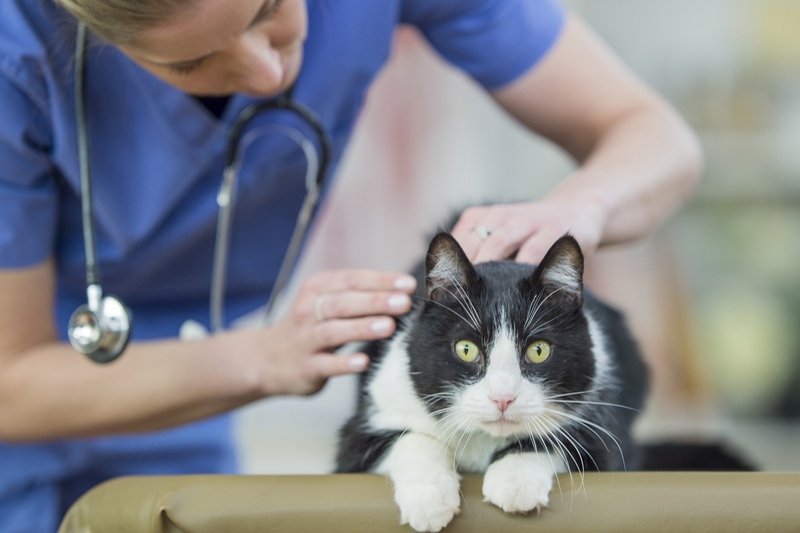 has typically been seen in these breeds, CVCA, a clinic in Baltimore-Washington D.C. specializing in veterinary cardiology, recently alerted the FDA it has seen D.C.M. 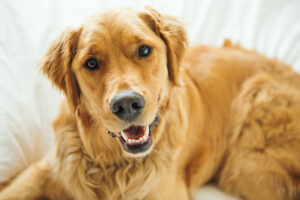 among other breeds including golden retrievers, doodle mixes, Labrador retrievers and Shih Tzus. They discovered the common factor was a diet heavy in peas, lentils, chickpeas and potatoes. These carbohydrates are intended to replace grains. Other specialists are noticing an increase in D.C.M. among its patients. According to Darcy Ardin, a veterinary cardiologist from North Carolina State University’s College of Veterinary Medicine, their first clue was a household with two unrelated miniature Schnauzers diagnosed with D.C.M. Both dogs were eating the same boutique, exotic protein, grain free diet. Dr. Ardin’s team have documented 36 dogs including poodles and dachshunds with suspected D.C.M. By the end of 2017, 44 percent of the dog food market consisted of a variety of grain free dog foods. Sales of grain free dog food climbed to nearly $2.8 billion in 2017. CVCA, the clinic which alerted the FDA of their findings, surveyed 150 recent cases of D.C.M. Most of the dogs diagnosed with this condition were on grain free diets. While other factors cannot be ruled out, CVCA now sees eight to 12 new cases of D.C.M. each month. None of these new cases are associated with genetics. Reports of some two dozen additional cases of D.C.M. have recently been received by the FDA. Three of these dogs have died. Lisa Freeman, a veterinary nutritionist and researcher with Cummings School of Veterinary Medicine at Tufts University, has found no research demonstrating grain-free diets offer any health benefits over diets that contain grains. Dr. Freeman believes we should be skeptical about claims made by grain free dog food manufacturers. According to Dr. Freeman, grains provide an important source of protein and other nutrients in meat-based pet foods. Grains have not been linked to health problems in pets unless an allergy exists to a specific grain. Tracy and Chris Meyer of Phoenix, Maryland, are pet owners who spent about $80 each month for grain free food for their 95 pound golden retriever, Bentley. They assumed the ingredients peas, red lentils, and green lentils were healthy. However, after moving to a new home, Bentley started eating less. Since they thought Bentley’s decreased appetite might be due to their move, they tried other flavors of grain free food and treats to try and get him to eat. However, Bentley began panting, coughing, and his stomach became distended. Before an appointment with his veterinarian, the Meyers took him outdoors to go to the bathroom, Bentley stopped, had a bowel movement, then fainted. He was also foaming at the mouth. The veterinary emergency room told the Meyers Bentley was in heart failure. Bentley’s taurine level was only 58. A normal taurine level is over 200. Taurine is an amino acid vital for a healthy heart. 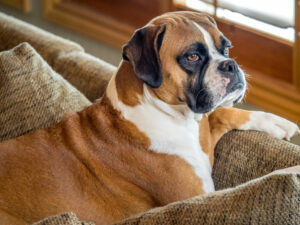 The veterinarian prescribed heart medication and a year and a half later, Bentley is healthy. He remains on two heart drugs and his diet includes lots of grains. D.C.M. in dogs with a genetic predisposition cannot be reversed but dogs with diet-associated cases can sometimes be reversed. Medication, taurine supplements, and a changed diet can help dogs whose D.C.M. is diet related. Research continues on grain free diets and their relationship to D.C.M. in dogs not genetically predisposed to this heart ailment. If your dog is on a grain free diet, veterinary experts recommend you consult with your veterinarian about the reasons for doing so. 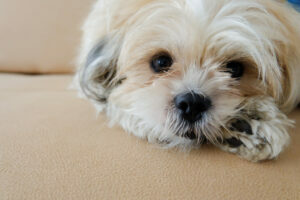 It is also important to be aware of the early signs of heart disease in dogs including weakness and fainting. We all want the best for our pets. Grain free diets sound healthy but they may not provide the necessary nutrients your pet needs to maintain a healthy lifestyle. Let your veterinarian know if your dog is currently following a grain free diet to determine if it is in fact the optimal choice for your beloved pet’s continued good health.